After years of jockeying for the right position, horse racing’s returning to the Calgary area this month. On Wednesday, the operators of Century Downs Racetrack and Casino near Balzac offered a sneak peek of the new complex. The resurrection of the thoroughbreds and standardbreds . after a seven-year and nine-year absence respectively at Stampede Park . will dramatically revitalize the activity, said general manager Paul Ryneveld. “ It’s a huge shot in the arm to the industry - a lot of owners and people associated to the business got out of it because there was nothing around ” he said. It’s been a long, hard haul to get Century Downs up and galloping, said Ryneveld. 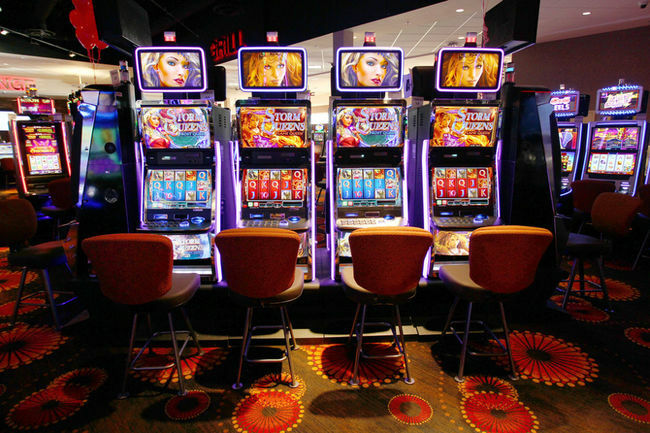 The effort that began in 2002 has been plagued by water, parking issues and bankruptcy but in 2012, things headed successfully down to the wire with the arrival of Century Casinos Inc., a major shareholder of United Horsemen of Alberta. The complex - located just east of CrossIron Mills mall — will feature a 1.1-km racetrack that’ll begin hosting standardbred, or harness racing on April 25 before expanding to thoroughbreds, likely in the fall of 2016. “With good weather on April 25, we’ll be the number one spot in Calgary to be,” said Ryneveld. On Wednesday, Century Down’s 33,000 sq.-ft. casino opened its doors, offering 550 electronic games and a 150-seat restaurant-bar. The horseracing venue will eventually host around 4,000 spectators, said Ryneveld. “It’s an intimate race track, not like the Stampede,” he said. The plan is to mirror the racing activities at Edmonton’s Northlands Park, said Ryneveld. “It’s exciting to see another form of entertainment return,” he said. A hotel ranging in size from 100-140 rooms is also planned for the site.